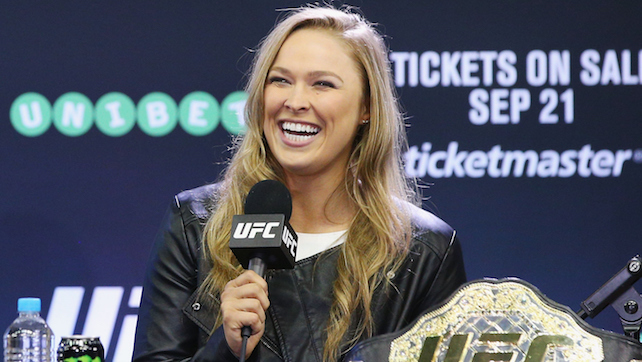 Ronda Rousey Undergoes Surgery, UFC Return Delayed, Who Originated The RKO? Poll: Who would win the fight? Ferguson or McGregor? [Poll] Becky Lynch vs Ronda Rousey – Who will win at Survivor Series? While appearing on ESPN earlier today to promote UFC 199, UFC President Dana White said Ronda Rousey will be out of action for a few months after she underwent knee surgery yesterday. White said the procedure to clean up Rousey’s knee was ‘nothing serious’, but also said they were hoping to get the former UFC Bantamweight Champion back this year, possibly hinting at her return being delayed until 2017. The post Ronda Rousey Undergoes Surgery, UFC Return Delayed, Who Originated The RKO? appeared first on Wrestlezone.